Washington DC's African American history museum and a leisure centre designed by Brazilian architect Paulo Mendes da Rocha are among the six finalists for this year's Mies Crown Hall Americas Prize. The museum designed for the US capital by a team including British architect David Adjaye, and Mendes da Rocha's project in São Paulo, Brazil, are in the running to be named best project completed in the Americas between January 2016 and December 2017. Also on the shortlist, revealed yesterday, is a concrete performing arts venue in Mexico, a "labyrinthine" university building in Peru, a residential cluster in the US and a Brazilian cultural building. The projects were shortlisted from 175 entries for the 2018 Mies Crown Hall Americas Prize (MCHAP) – a biennial prize established by the Illinois Institute of Technology College of Architecture. It takes its name from the school's headquarters: modernist architect Ludwig Mies van der Rohe's SR Crown Hall in Chicago. "We were looking for projects that – regardless of scale or budget – might set new typologies for universities, museums, public institutions, galleries, and housing as we move forward in the 21st century," he said in a statement. The selection process took into consideration a number of factors, including the project's longevity, sustainability, use of local materials, relationship to surroundings, and community benefits. "We were interested in buildings that work — for the city, for the institution, for the neighbourhood, community, and the individual occupants," said Burdett. "Buildings that have meaning and complexity, and enrich the lives of the people who use and inhabit them," he continued. "We looked carefully at how projects related to their natural and man-made environments, their social and ecological landscapes." MCHAP director Dirk Denison added that many of the designs also showcased references to the modernist style of the 20th century, but with a "maximal impact". "We were surprised that the architectural language of some of these very contemporary projects we admired are deeply rooted in the spatial concerns of the mid- or even early 20th century," he said. "Natural daylight and natural ventilation were, wherever possible, prioritised over the hermetic box," Denison added. "The interplay of sun and shadow on internal and external surfaces marked the changing of the seasons and passing of time. Interior complexity, in many of the projects, was prioritised over symbolic facadism." The final winner will be revealed at a symposium on 10 October 2018, at the Illinois Institute of Technology College. As well as receiving the prize, the winner will be awarded a position as the MCHAP Chair at the school's College of Architecture, and $50,000 (£38,000) to fund research and a publication. Awarded in 2009 to team a including British architect David Adjaye with American firms The Freelon Group and Davis Brody Bond, the project was named Design of the Year 2017 by London's Design Museum. 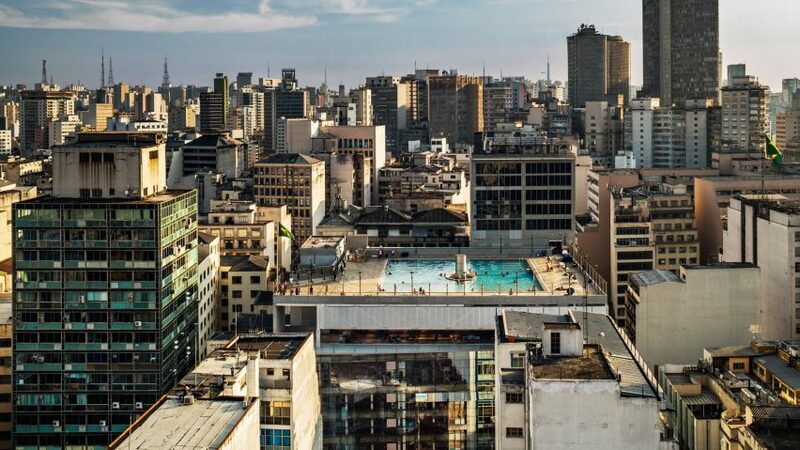 IMS Paulista provides a new headquarters for major Brazilian cultural organisation The Instituto Moreira Salles on one of the São Paulo's most important streets: Paulista Avenue. The building, which was completed by local firm Andrade Morettin Arquitetos Associados, has two clear sections split by a terrace. An "urban hall" intended to draw visitors in from the street is located on the lower portion, while a museum situated in the upper section features red interiors that are revealed by a glazed exterior. Architecture studio Barclay & Crousse completed this wood-textured concrete building for the Universidad de Piura's campus in Peruvian city Piura. True North is a complex of eight steel and polycarbonate affordable residences in Detroit's Core City neighbourhood.